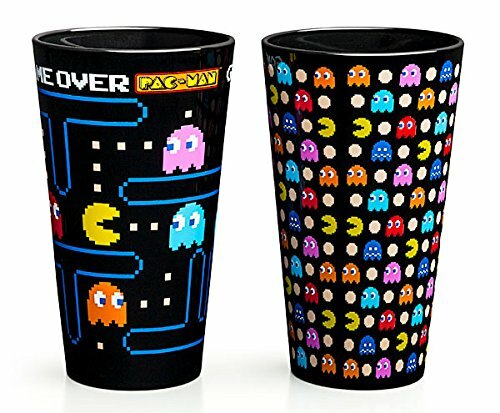 Now that Pacman is 35 years old,we thought we’d help celebrate his birthday by bringing you this great mega list of Pacman themed gift ideas. 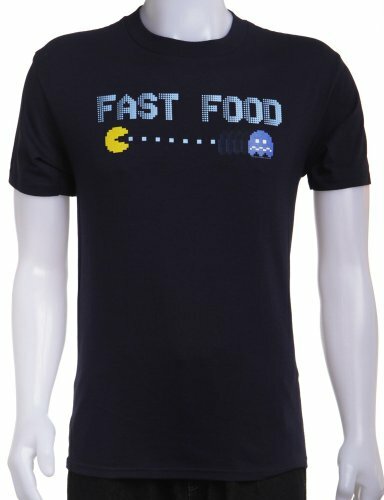 There’s Pacman t-shirts, Pacman mugs and a little bit of Pacman jewelry as well as a few bits and pieces of Pacman stuff for the home. 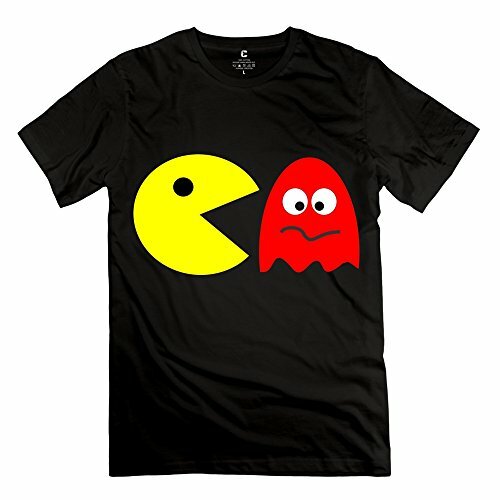 There are hundreds of Pacman themed gift items out there as Pacman was probably the first video game to break into the mainstream marketing channels. 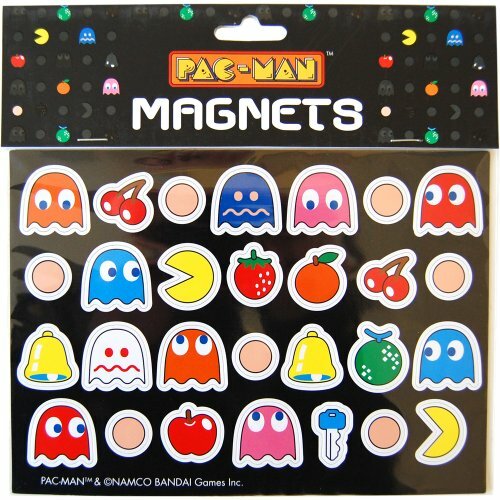 I remember Pacman being almost everywhere from MacDonalds happy meals to special breakfast cereals! 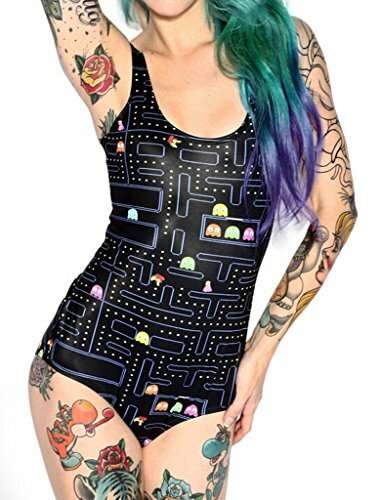 The Pacman game board really lends itself to clothing design – it’s instantly recognisable but it’s not full of bold, large and loud design elements. 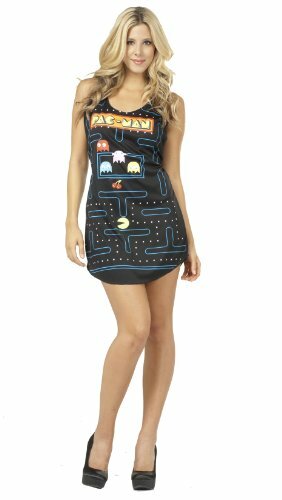 I love the Pacman themed swimsuit and Pacman leggings but I’m not sure I’d wear the Pacman mini dress! 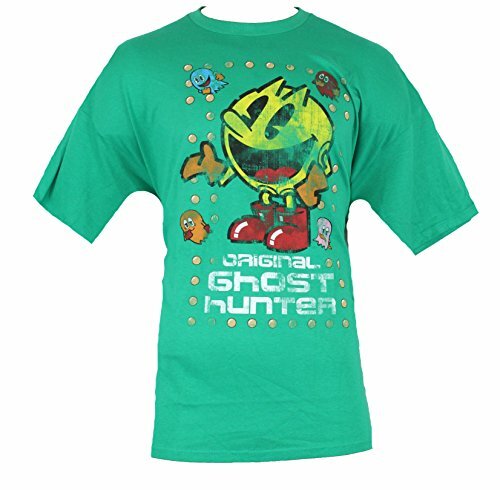 It could make a great outfit for a fancy dress party though, especially if you like retro video games. 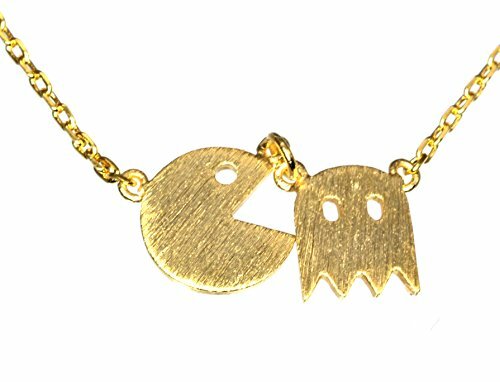 I love this goldtone Pacman and Ghost necklace – it’s cute and easily recognisable too. 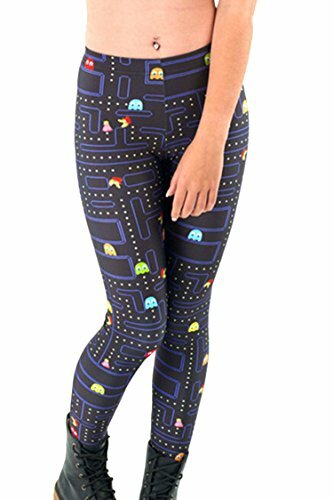 If you have a young girl to buy a gift for and you’ve managed to introduce her to some retro video gaming, it could be a great birthday gift! 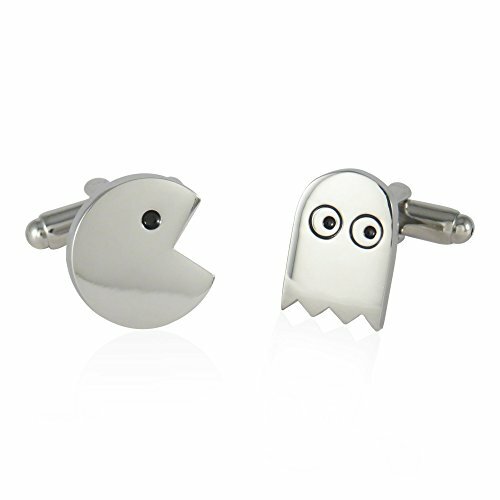 The Pacman and Ghost set of cufflinks are real silver and would make a fabulous present for any retro gamer Dad on Father’s day which is coming up in early June. 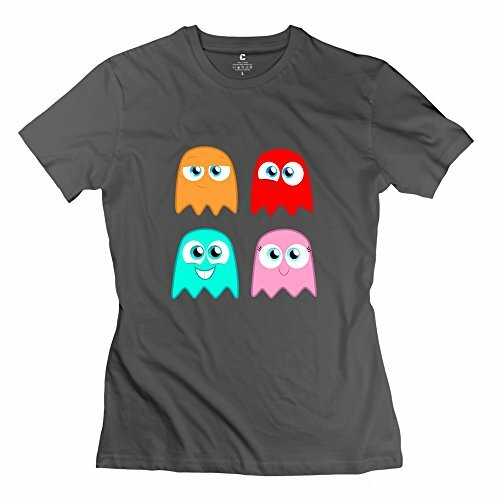 If you have an older gamer to buy a gift for, I bet any of these Pacman design t-shirts will appeal. 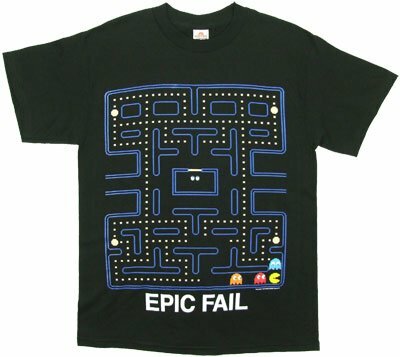 The Epic Fail design is so familiar to me – I was never very good at Pacman. I always ran straight into the ghosts when I went from one side of the map to the other or got stuck in corners like that! 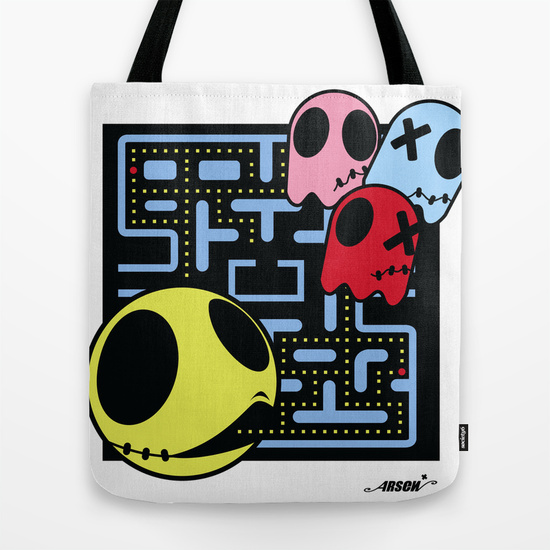 The other designs all show variations of the main Pacman characters so it’s just a matter of picking your favorite. 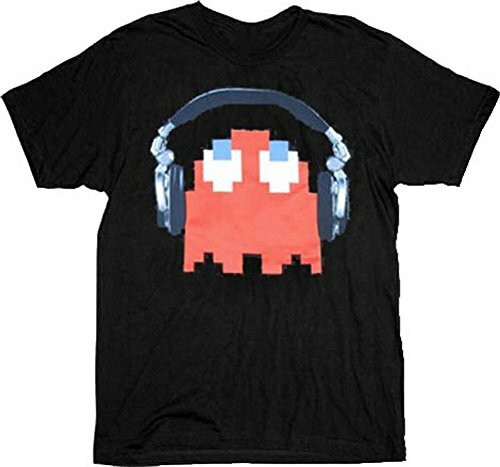 I really like the red ghost with headphones design as I use headphones a lot myself. 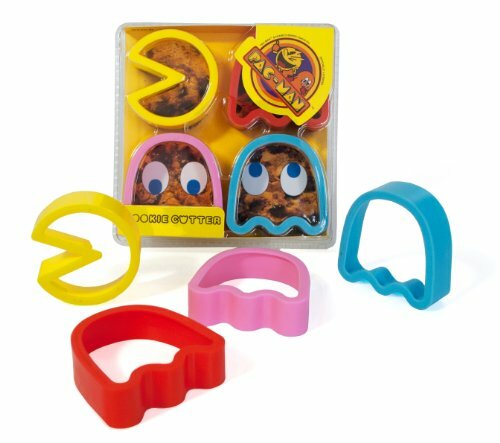 I guess it’s possible that children today may not be familiar with Pacman but I’m pretty sure they will love these Pacman themed gifts anyway. 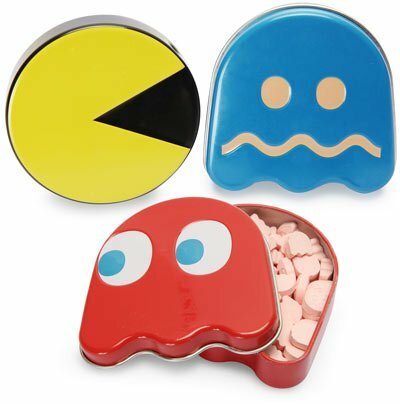 Pacman plushies, candy tins and fridge magnets are all small enough to make great stocking stuffers or gift basket fillers and they are super cute too. 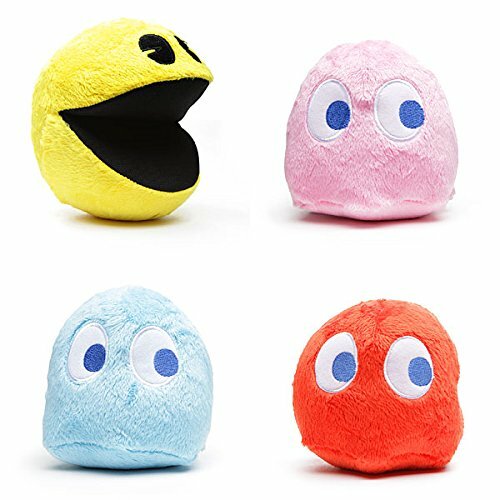 In this final section, we have a whole bunch of Pacman themed gift ideas for the Home – from bathroom to kitchen – nowhere is safe from Pacman and his friends! 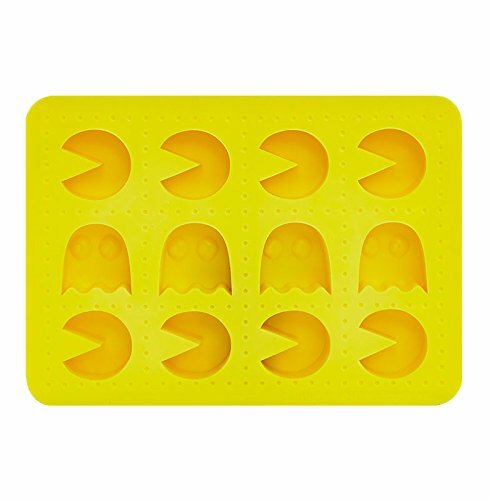 I love the Pacman cookie cutters – they would be so easy to decorate and would be a fun addition to any party platter. 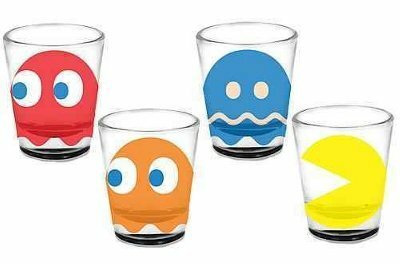 If you want to go a little crazy with a Pacman theme – there are ice cube trays, salt & pepper shakers, shot glasses and pint glasses too. 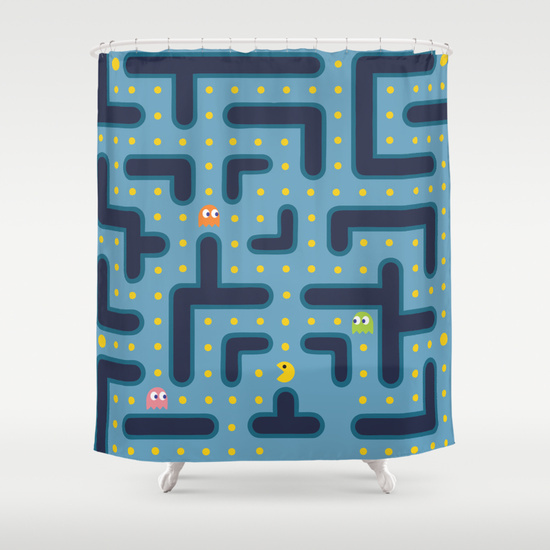 For the bathroom, this Pacman shower curtain is a perfect addition to make a child’s bathroom fun and cheerful. 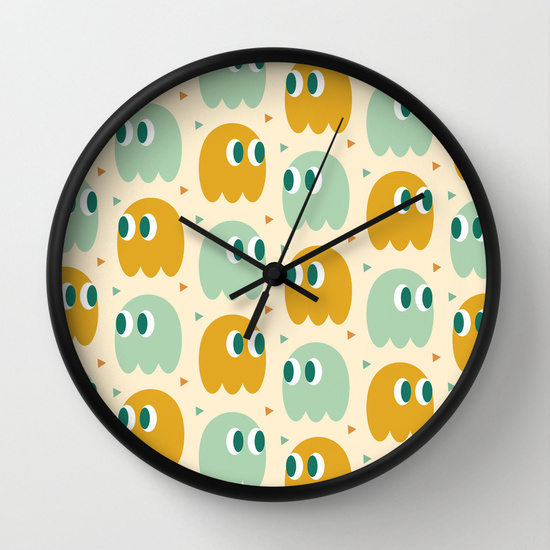 I like the retro ghosts clock too – the colors are more subtle than in-game but that makes it easier to include in a kitchen color scheme, I think. 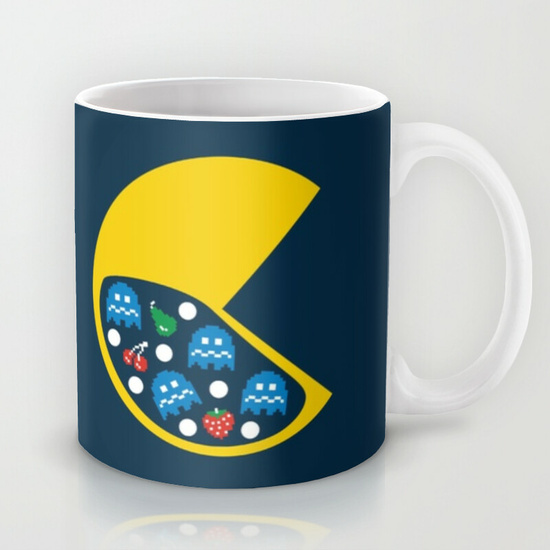 Lastly we have a small selection of bright and cheerful Pacman coffee or tea mugs. 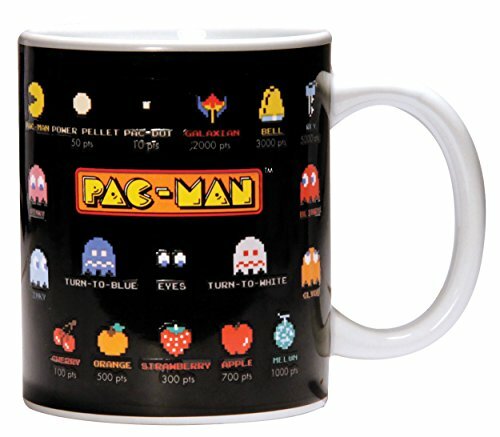 The Heat Change mug is all black when cold except for the Pacman logo. Once you add hot liquid, the design becomes visible and shows all the different icons from the game which is kind of cool! 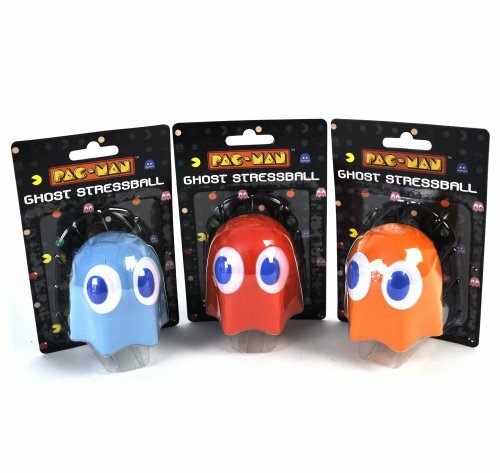 I like the large yellow Pacman design too – it’s different from most in that it shows the ghosts, cherries and pellets as if they are in his stomach! 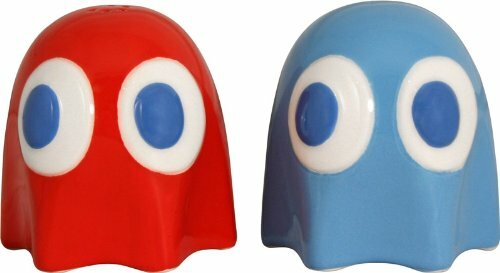 If you love retro games, then I’m pretty sure this post has entertained you at least. 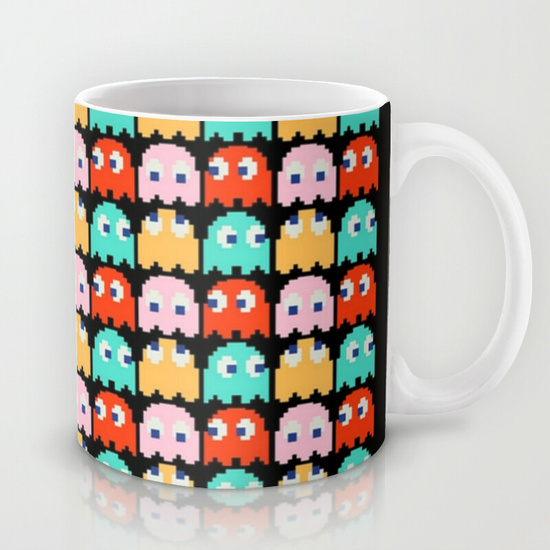 Don’t forget to check out our other retro themed post 8 Bit Valentines post or type retro into the search box to find other posts that include retro gaming gift ideas.